With selection upon selection of runway-ready outfits milling about during Paris Fashion Week, it can be easy to overlook some of the best offerings of the event: The accessories. 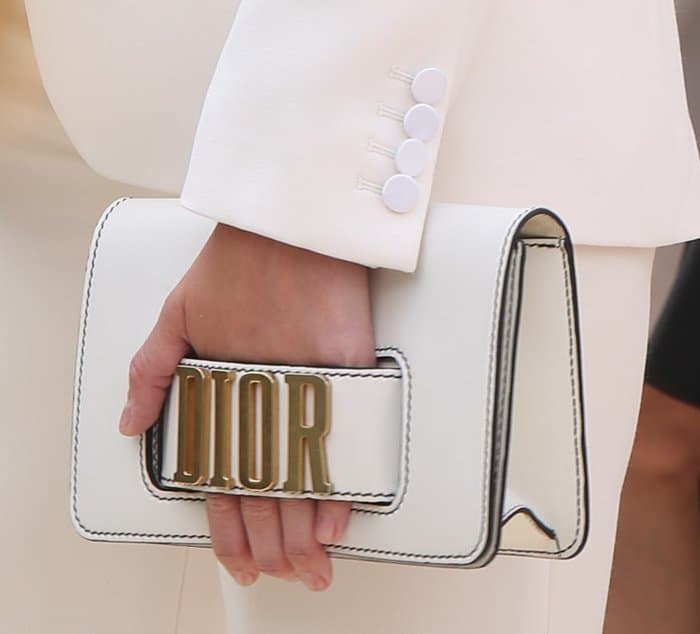 We took a break from gowns, jewelry and shoes to pay a little bit of attention to celebrity arm candy spotted during Paris Fashion Week, and we’re glad we did. Here are some of our favorite finds. Gemma Arterton suited up in a chic white ensemble and styled her outfit with an equally chic flap clutch bag from Dior. The structured purse was the perfect accessory to her androgynous look. Jennifer Lawrence opted for an edgy street style Resort 2018 look, layering a lace dress with a fringe cardigan. She finished the look with a black hat, an embroidered J’adior and a funky pair of “Walkin’ Dior” lace-up boots. Jennifer Lawrence at the Paris Fashion Week Haute Couture Fall/Winter 2017-2018 Christian Dior show on July 3, 2017. Natalie Portman picked a classic look for the Dior fashion show, opting for a little black dress with a flared skirt style that showcased her lean figure. 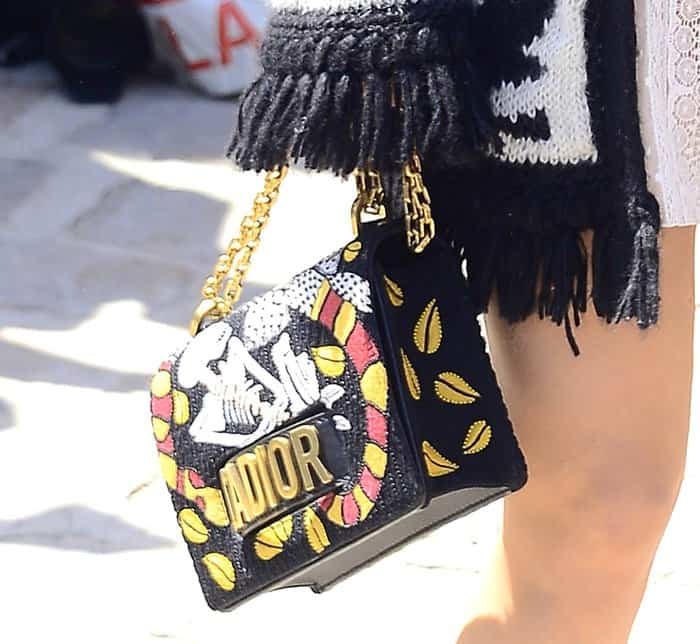 She accessorized her elegant frock with a Dior purse that featured a vintage monogram design. Natalie Portman at the Paris Fashion Week Haute Couture Fall/Winter 2017-2018 Christian Dior show on July 3, 2017. Model Claudia Schiffer decided to go for a more casual approach in a Chanel jumpsuit and pearl embellished flats. 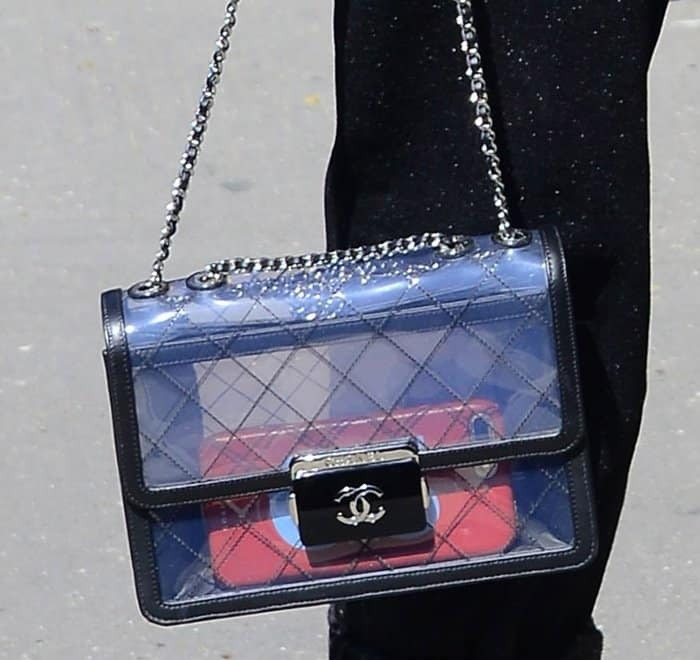 Adding a hint of fun detail to her look, she carried a Chanel transparent flap bag, which revealed that the only thing she had inside her purse was an iPhone. The stylish Olivia Palermo was also in attendance during this major fashion event. At the Valentino show, the socialite model wore a lovely sequin dress which she styled with a Valentino ‘Rockstud’ purse. Olivia Palermo at the Paris Fashion Week Haute Couture Fall/Winter 2017/2018 Valentino show on July 5, 2017.